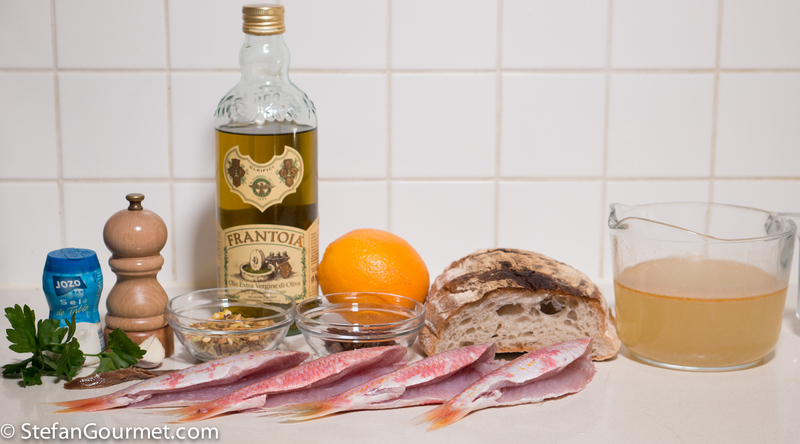 Sarde a Beccafico is a famous traditional dish from Sicily. 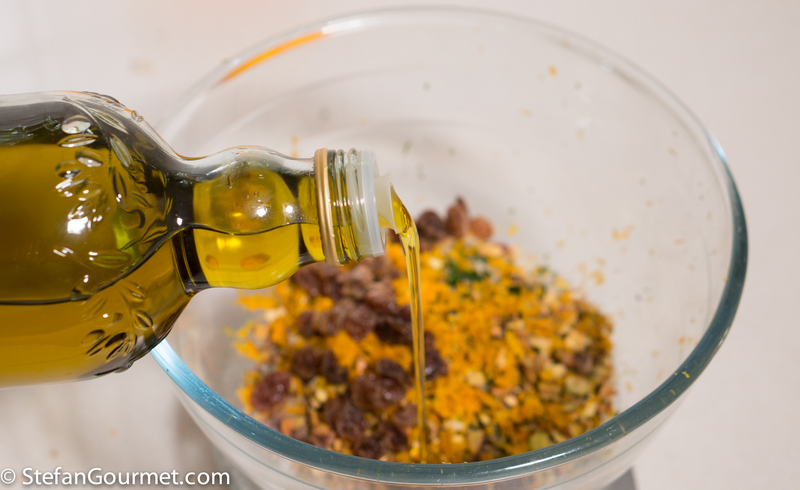 The sardines are stuffed with breadcrumbs, raisins, pine nuts, and baked in the oven with orange juice. 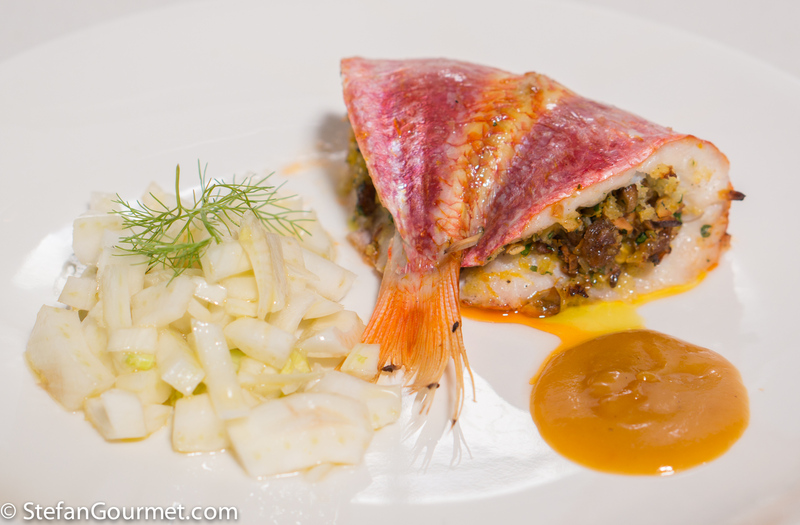 At Cala del Citro the chef made a dish with red mullet that reminded me of this; instead of pine nuts he used pistachios. 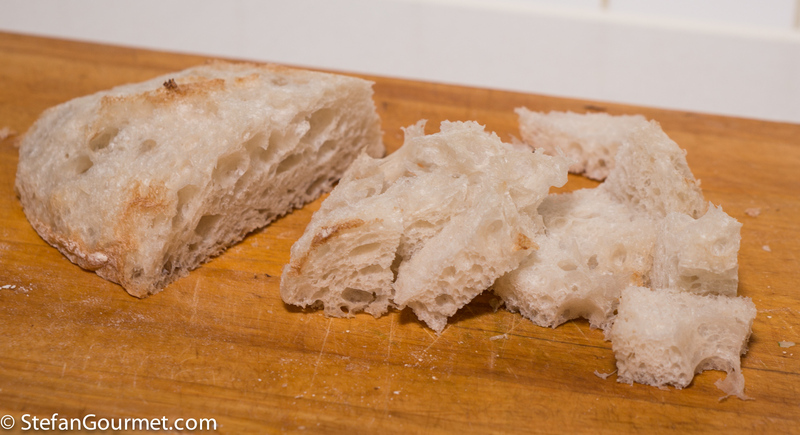 The combination works very well, especially when served with a fennel salad. 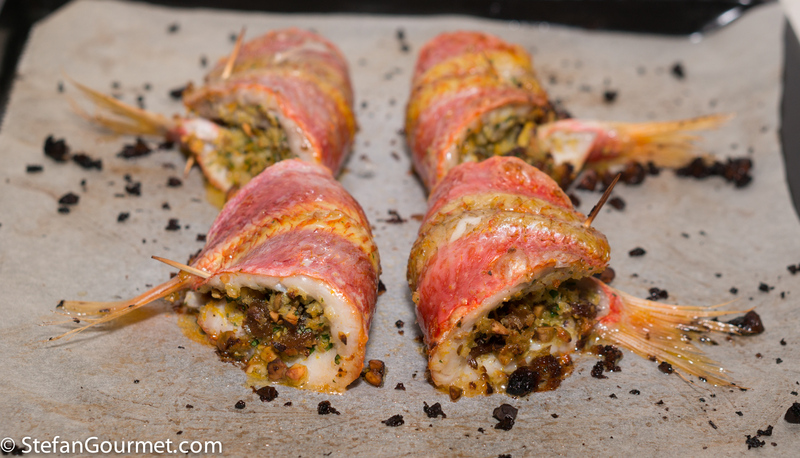 Here is my version of this very elegant and flavorful dish. For the presentation ask your fishmonger to butterfly the mullets. This means filleting the mullets in such a way that the two fillets remain attached to each other. The tail is left on as well. 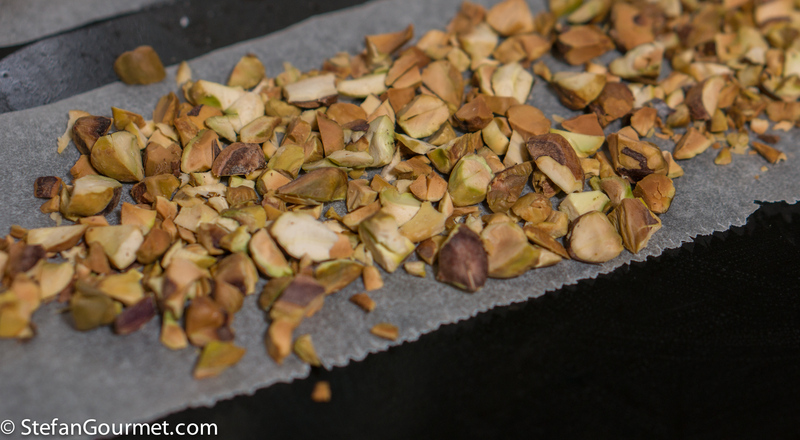 Roughly chop the pistachios, and toast them in the oven at 180C/350F until golden, about 8 minutes. 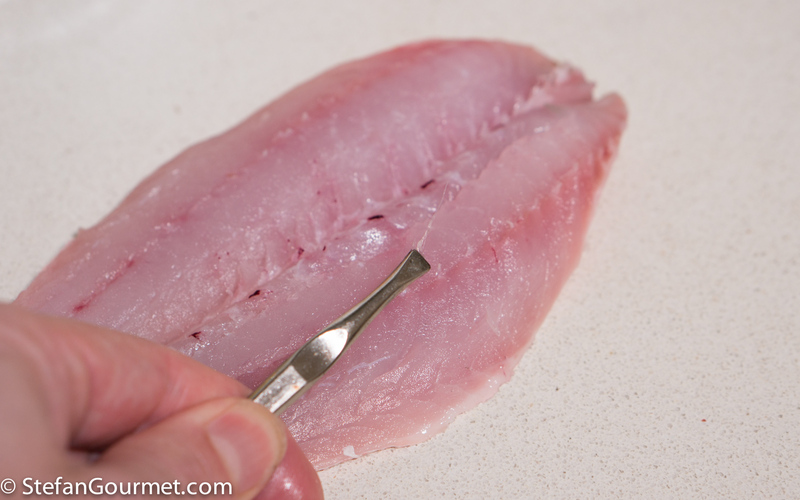 Remove any bones that are left in the mullets using tweezers, feeling with your fingertips to find them. 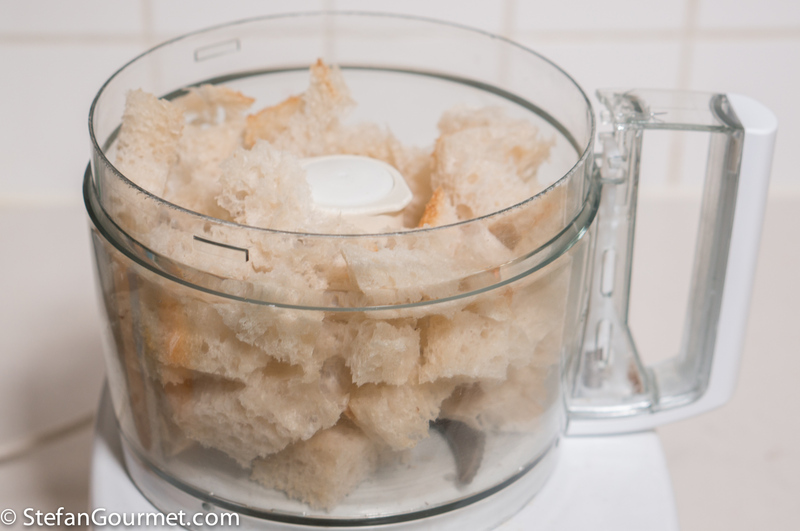 …and process to obtain breadcrumbs. 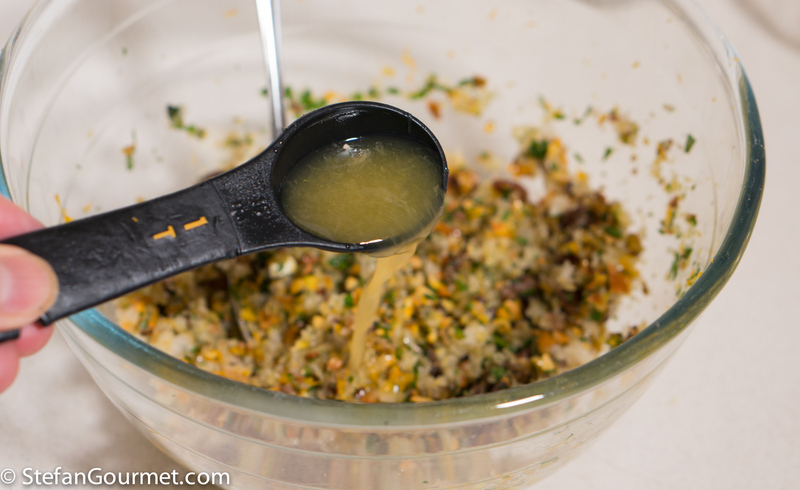 Combine the breadcrumbs, parsley, raisins, pistachios, and grated orange zest in a bowl. 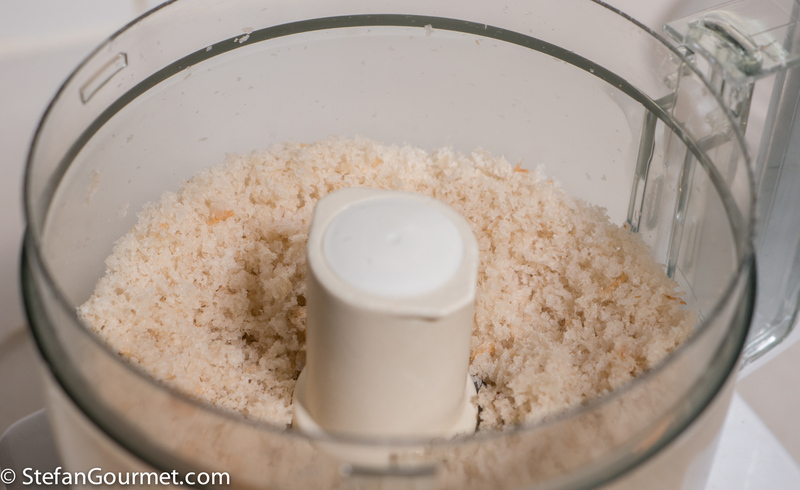 Season with salt and freshly ground black pepper. 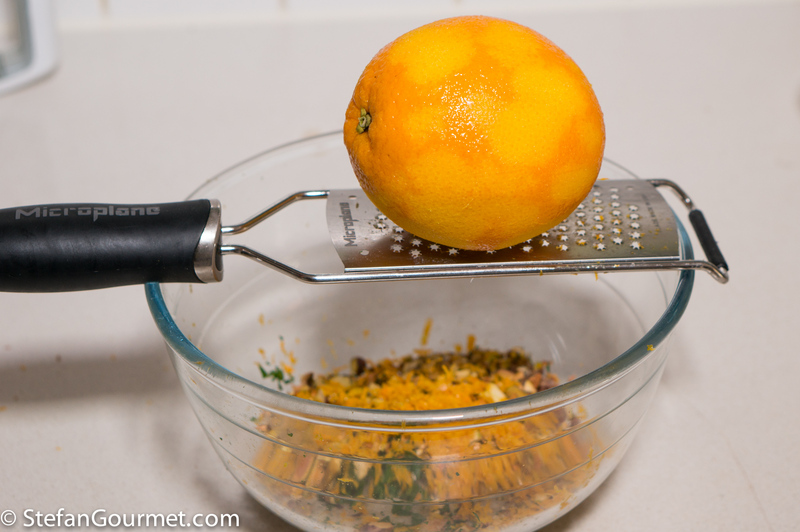 Juice the orange after grating the zest. 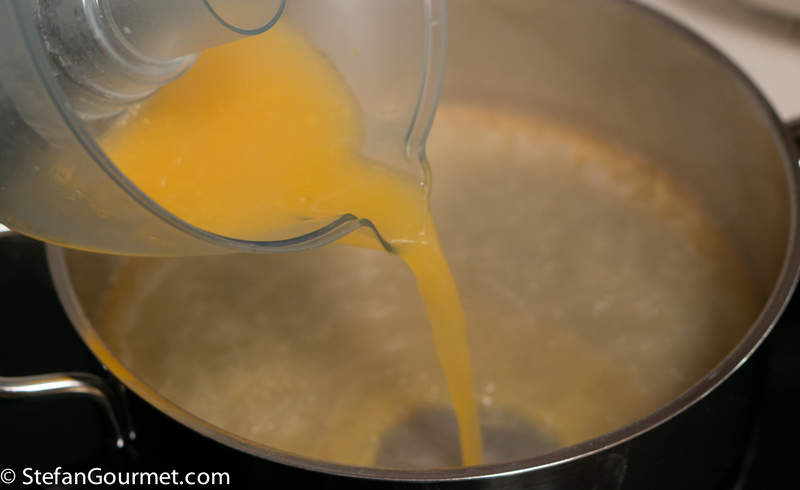 Stir to mix the contents of the bowl, then add a tablespoon of orange juice, and stir to mix again. 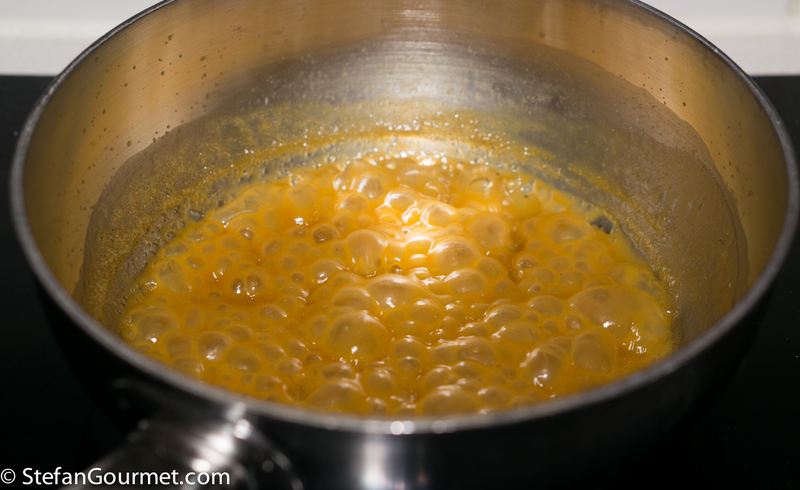 …to make the filling creamy. 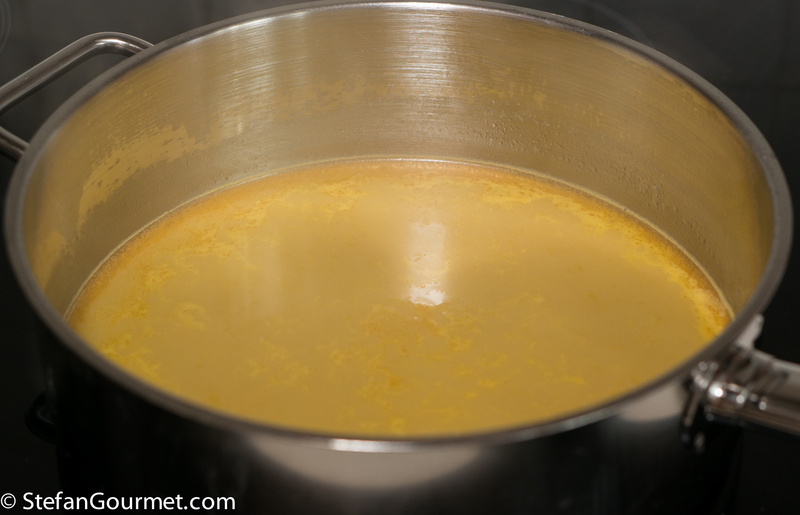 …until the sauce is thick. Season with salt and freshly ground black pepper to taste. 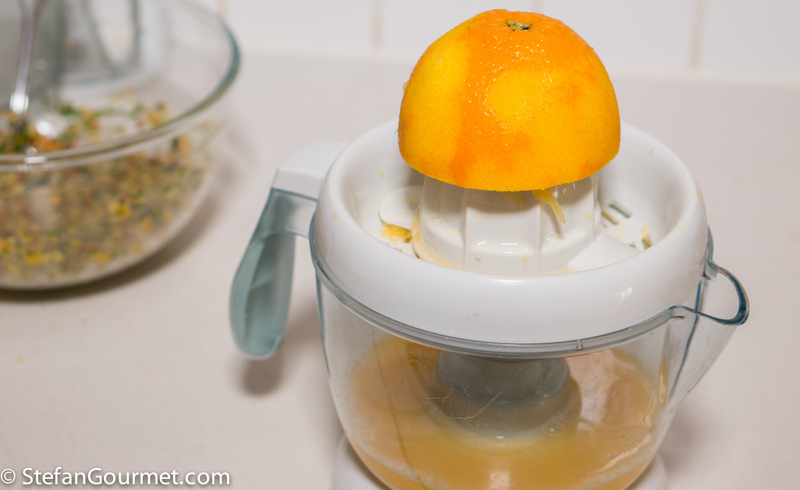 You may have to add a pinch of sugar if the orange wasn’t sweet enough. 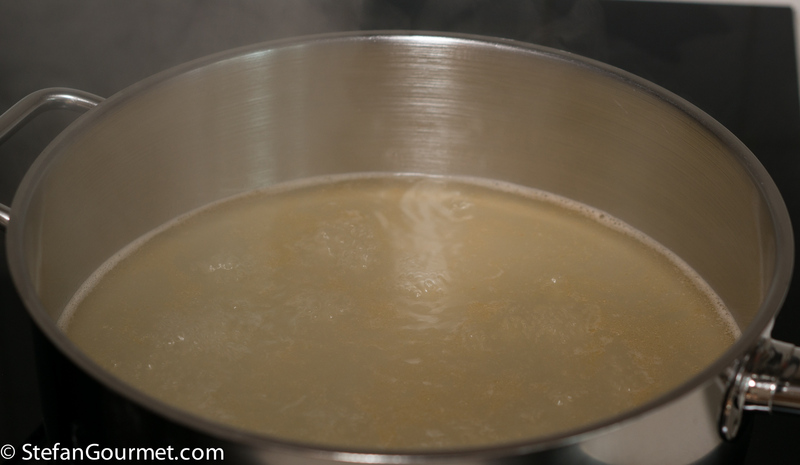 Meanwhile, preheat the oven to 225C/440F. 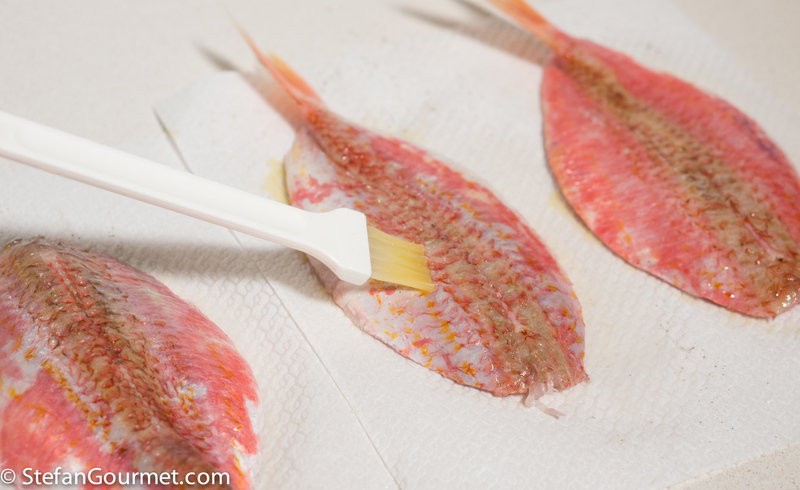 Brush the skin of the mullets with olive oil, and season with salt. 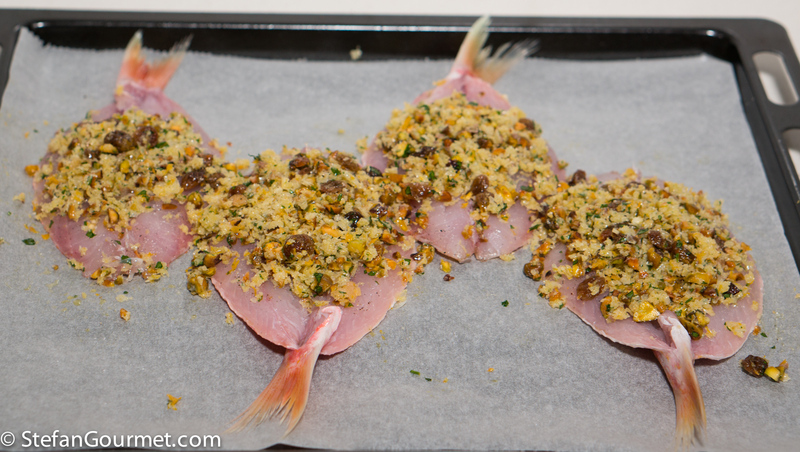 Arrange the mullets on a baking sheet with parchment paper, season them with salt, and put the filling on top. Close the mullets and secure them with toothpicks. Bake at 225C/440F until the skin is crispy and the mullets are just cooked through, 10 to 15 minutes. Serve the stuffed mullets with a simpel fennel salad (dressed only with salt and good extra virgin olive oil) and a dollop of the sauce. 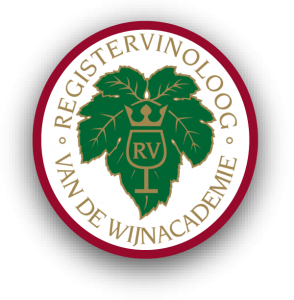 This works well with a full bodied Italian white, such as a Vermentino from Sardinia. There is a lot of flavor in the dish, so the wine should be flavorful as well. 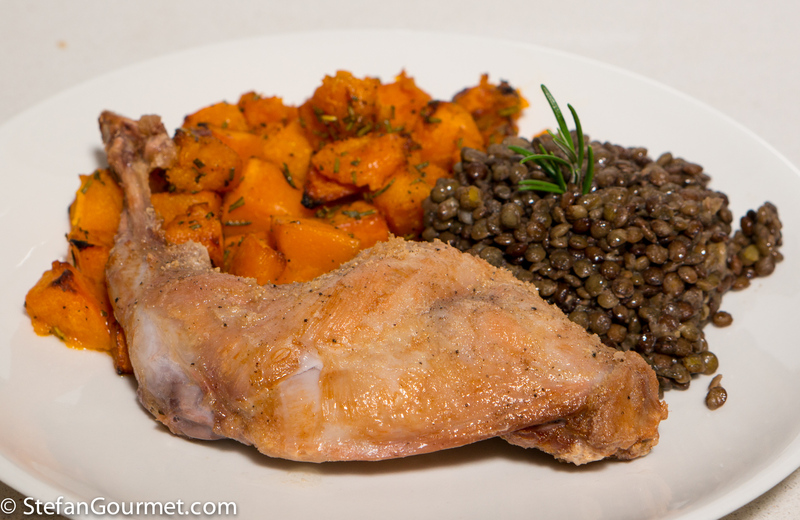 Rabbit leg that is crispy on the outside but juicy and tender on the inside, with roasted pumpkin and lentils is a seasonal and tasty dish. Stefan, before you were born, a guy called Walt Disney added to his LA theme park ‘It’s a small world after all’ . . . *huge smile* how true! 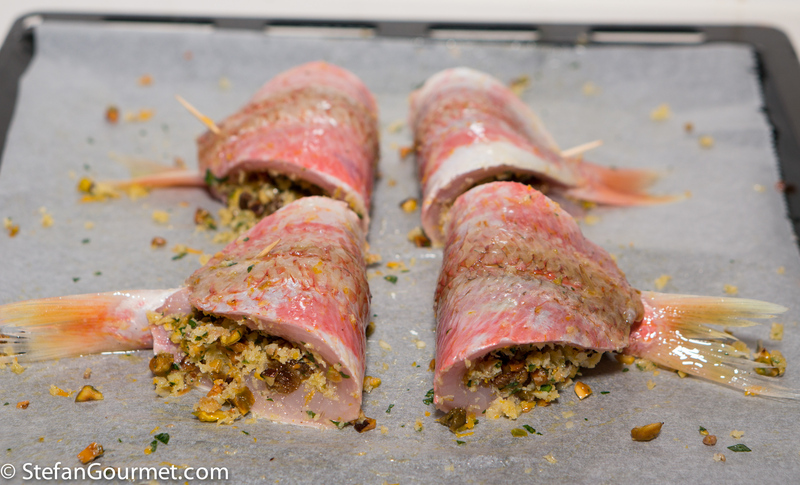 What a delightful recipe which a fishmonger has made more interesting by how he prepared the red mullets. Just have to copy ! 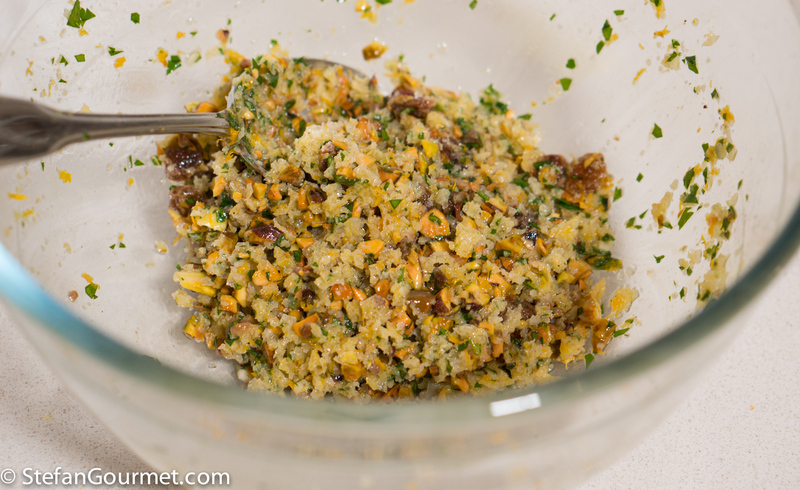 For me the ‘fun’ part comes in the fact I have just come from teaching a dear blogfriend to make South African bobotie for Yule . . .well, besides the mullet, all else on your ingredients list does belong there also . . . courtesy of Indonesian culinary history . . .
Hi Eha, I was in Disney World 25 years ago and I remember that song playing incessantly all day long. That was enough for a lifetime. Oh I believe you 🙂 ! But both my little daughters and we were enchanted when we first went on the ride about three times round way back in Disneyland . . . I wouldn’t have thought to stuff fish with nuts and raisins, how interesting. It does make a beautiful presentation. Will bookmark to try over the holidays.